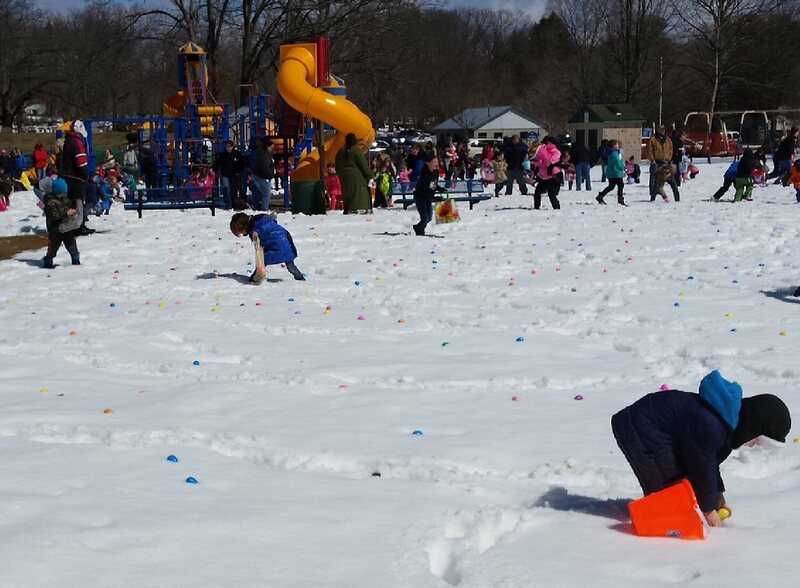 OSWEGO, NY – A fresh layer of snow on the ground did not stop the kids of Fulton and Oswego from participating in the Children’s Museum of Oswego’s free Easter egg hunt Saturday. Two separate egg hunts were held; one in the morning at West Park in Oswego and one in the afternoon at C.V. Abbot Park in Fulton. Executive director Jillian Shaver estimates that 500 kids came to collect the 5,000 eggs that volunteer staff filled with various candies and toys such as stickers, Easter themed erasers and stickers. The CMOO is a non-profit organization looking to bring a children’s museum to Oswego County. To keep up with CMOO events and progress, follow its Facebook page or visit www.cmoo.org.